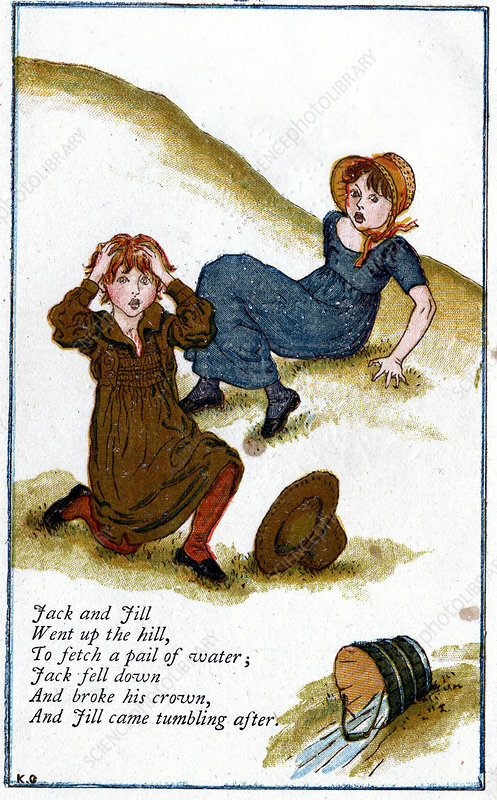 Illustration for 'Jack and Jill went up the hill', Kate Greenaway (1846-1901). For a book of nursery rhymes. Artist: Catherine Greenaway.